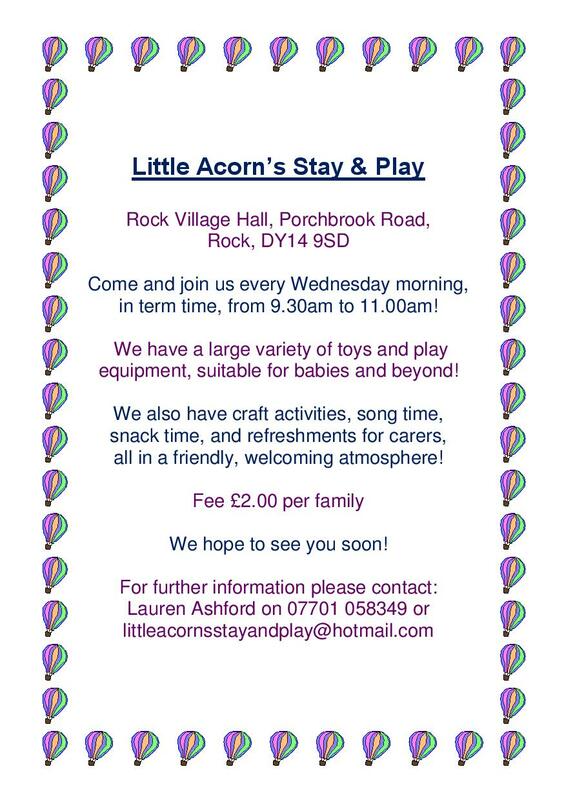 Little Acorns Stay and Play. Rock Village Hall. Bewdley, Kidderminster, Worcestershire. Enchanting Wedding Receptions, Conferences, and Meetings.